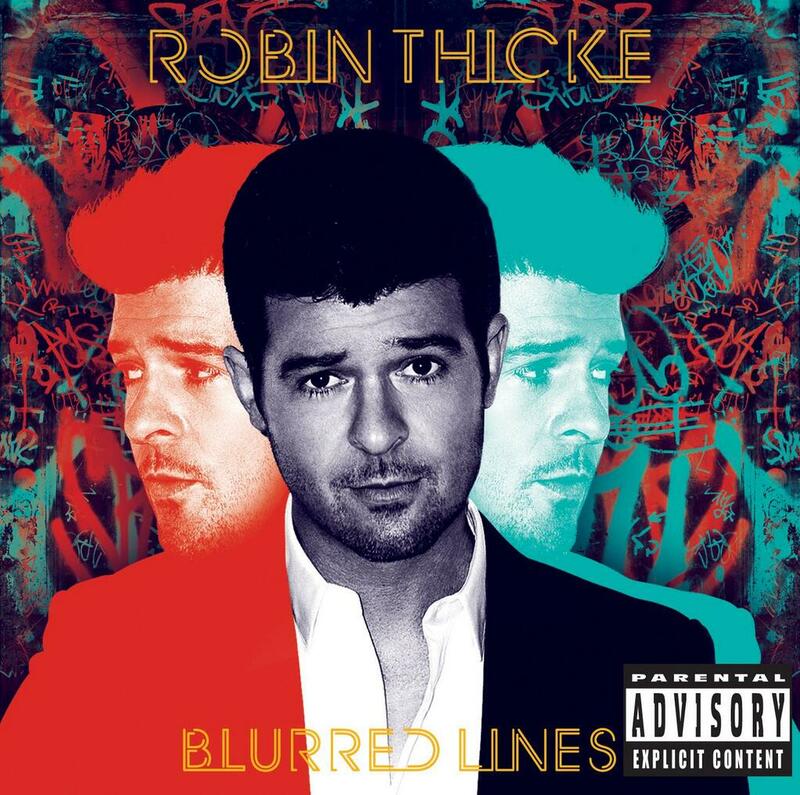 Robin Thicke’s hit, Blurred Lines, has caused controversy not only for its lyrics, but also for its musical provenance after Marvin Gaye’s children alleged that Blurred Lines infringed copyright in Marvin Gaye’s Got To Give It Up resulting in a trial before the Californian District Court. As readers may recall the litigation arose after Pharrell Williams, Robin Thicke and Clifford Harris, Jr., pre-emptively sought declaratory relief that Blurred Lines did not infringe copyright in Gaye’s Got To Give It Up, following accusations by the Gaye family of unlawful similarities between the two works. Now a jury must decide. 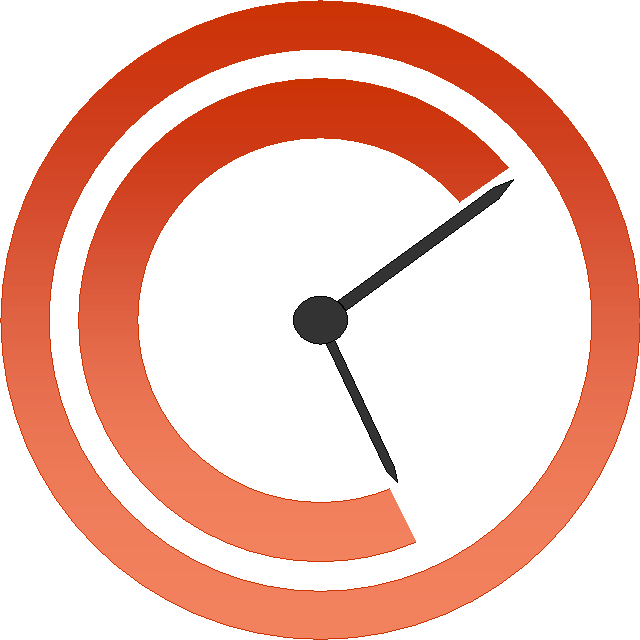 In their opening statements, both attorneys used exhibits on the first day of trial. Thicke’s attorney Howard E. King told the jury in his opening statement: “We're going to show you what you already know: that no one owns a genre or a style or a groove. To be inspired by Marvin Gaye is an honorable thing” and played the “Blurred Lines” video, first telling panellists that there were two versions produced. Earlier, Gaye family lawyer Richard S. Busch told the panel that the two songs are “very similar and, at some points, identical,” and that Thicke and Williams admitted in interviews that “Got to Give It Up” was the template for “Blurred Lines”. Busch played a “mash-up” of a segment of Gaye’s “Got to Give It Up” vocals placed over a portion of the “Blurred Lines” melody, played by an electronic keyboard — in an attempt to demonstrate how similar the two elements were. Thicke, facing away from the jury, mouthed the words, “No way,” and shook his head. The Gaye’s expert musicologist had studied the sheet music and sound recordings of the two works and identified eight “ substantially similar” features which “ surpass the realm of generic coincidence”. The Gayes argued that it was improbable that a third-party work would contain all of these features in a “ similar constellation” – and that those similarities in Blurred Lines must therefore be indicative of unlawful copying. U.S. District Judge John A Kronstadt told attorneys for both sides that they would have three days each to present their cases before the jury. The case began with testimony from Thicke and this primarily suggested that whilst there may be similarities in chord sequences between the two songs, those are just chord sequences that appear in lots of pop records. Thicke treated the jury to a medley of several song. Thicke used an electronic keyboard to sing along to a short mix of tunes that included U2's "With or Without You," Alphaville's "Forever Young," Bob Marley's "No Woman, No Cry," Michael Jackson's "Man In The Mirror" and The Beatles' "Let it Be" to demonstrate that songs with little in common can be seamlessly stitched together - and to undermine the Gaye's 'mash up' of "Blurred Lines" and "Got to Give it Up," played to the court during the first day of the copyright infringement trial. Attorneys for Marvin Gaye's three surviving adult children hoped to use the mash-up to show that "Blurred Lines" is a rip-off of the Motown soul singer's 1977 track. In response to Thicke's evidence, Busch went through a list of structural similarities between 'Blurred Lines' and 'Got To Give It Up', all of which Thicke said were just "standard formats", although when put on the spot he did struggle to name many other songs that employed said standards. According to the federal copyright trial, the two sides have agreed on an exact figure of $16,675,690 in profits from the song. Frankie and Nona Gaye had tallied the alleged damages at approximately $40 million - including a claimed $4 million from 50 percent of the publishing earnings of Blurred Lines and the Gayes are seeking damages for a reduction of the fair market value of the worth of licensing Got to Give It Up and they are also targeting touring money too, with about $11 million apparently attributable to the song's success. The Gaye family also claim that Thicke and his estranged wife Paula Patton's co-written track Love After War plagiarised their father's song After the Dance. That song, according to testimony, brought home $895,374 in profits. Despite an earlier indication from the trial judge that the case must focus on the song and not the sound recordng of Gaye's classic, the Gaye family's attorney Richard Busch had continued to argue that 'Got To Give It Up' composition is represented by the recording and thus this should be at the heart of the case, and, if jurors conclude that elements of that recording are directly replicated in 'Blurred Lines', that must constitute copyright infringement. Busch complained that King was trying to confuse the jury by repeatedly declaring that the sound recording of 'Got To Give It Up' is owned by the Motown label and not the Gaye family. In a new motion to the court, Busch said that the Gaye family had never claimed to own the sound recording, and this was just an attempt by King to confuse the jury over the distinction between the copyright in the sound recording itself, and the copyright in the song as captured in the sound recording, saying: "The Gaye Parties have never claimed ownership of the Motown sound recordings, but the Thicke parties have committed copyright infringement by copying the musical composition as embodied in those sound recordings. The jury simply will not understand that fine distinction unless specifically instructed. [King's comments are] confusing, wrong, and entirely prejudicial" and "The sound recording is not irrelevant, as has been continually stated by the Thicke parties during the trial, and the jury is being confused and will likely believe, unless this matter is clarified, that the Gayes have no rights in the musical composition as embodied in such recording. This will further reinforce the improper remarks by the Thicke parties noted above, and will continue to prejudice the Gaye parties. These blurred lines must be sharpened and focused". Thicke had cited "Got to Give it Up" as an inspiration in interviews after the single's release. But in a deposition, Thicke said he overplayed his part in the creation of the song and was drunk and on Vicodin when it was recorded. Pharrell Williams said in deposition two days before Thicke's that he had composed the melody and written the lyrics for the hit, and that Thicke had 'embellished' the origins of the song. Thicke and co-writers Pharrell Williams and rapper TI deny copying the song. 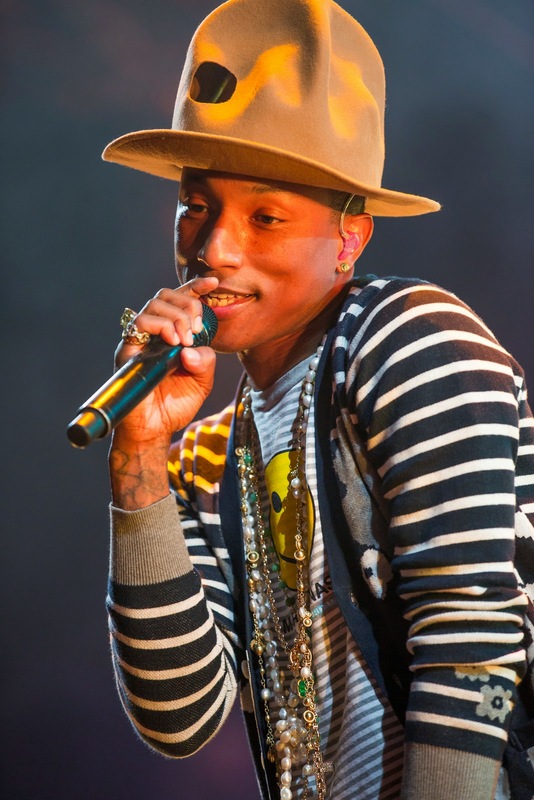 The court then heard testimony from Pharrell Williams who explained the process of creating "Blurred Lines" over the course of one night at a recording studio. Williams confirmed Robin Thicke's own testimony that it was Williams who primarily composed the later song. The 41-year-old Williams testified that Marvin Gaye and 70s soul were part of the musical milieu in which he grew up but that he'd never seek out to "take something of someone else's when you love him." Williams said after the song was released, he saw similarities between "Blurred Lines" and Gaye's work but said that wasn't a conscious part of his creative process. Richard S. Busch, who represents the Gaye family, asked Williams whether he felt "Blurred Lines" captured the feel of the era in which Gaye recorded. "Feel," Williams responded. "Not infringed." The eight-member civil jury will resume deliberations this Tuesday. No evidence on any previous sound recordings or songs that have similarities to Gaye's song? Gaye wrote the song in 1977. Apparently to try to cater for the disco-crowd. It seems to me that a court, correctly instructed by counsel, should have a hard time finding this track original; given that we are many years into the disco-era and many, many years later than funk became a genre.